Spesso siamo nella necessita di fornire limitato accesso alla dashboard a dipendenti, consulenti o clienti per ragioni differenti. Questo articolo vi fornirà le informazioni necessarie, per permettervi di farlo mantenendo l’ambiente sicuro. In every company no matter how small, there is usually that one person designated as the “IT Person” to solve all the small issues that arise. Providing dashboard access to this person can often cut down on the number of hours you spend supporting the company. If you can provide this person with the tools in the dashboard such as Remote Desktop and Remote Background, it empowers them to solve simple user issues making your company more profitable. The first thing to note is you are only charged per node, there is no additional charge to add users of any kind to your dashboard. This is a great value that is included in the platform fee. Move it into the group. 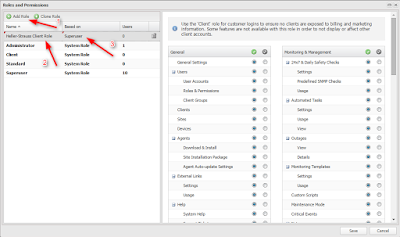 Go through each and every Line item and select the appropriate access for that user. Be sure and log in as the user and confirm that you have all the proper security permissions in place. Often times it will be necessary to partner or work with another company or contractor. The Process is exactly the same as above. It may be necessary to provide access to one or more companies and there may be users with different roles and permissions within the same company. 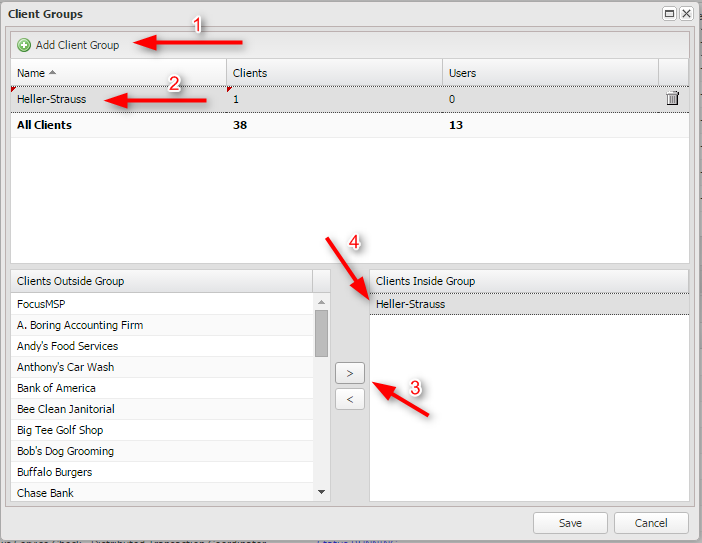 MAX Remote Management has the ability to accommodate any permissions scenario. You will eventually have to provide the agent key to someone to install an agent. 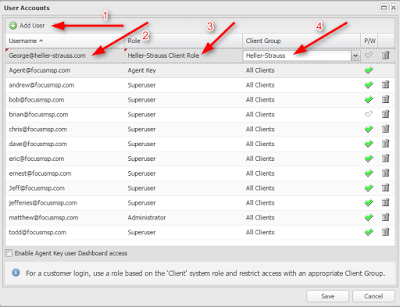 Since the first user in the dashboard is assigned the Agent Key, you will ALWAYS want to create a second user for yourself that has SUPERUSER permissions. It is imperative that the second user has SUPERUSER rights or you will be contacting tech support at the end of this process. Rename the user that is assigned the Agent Key to something generic such as key@msp.com. It does not have to be a valid email address just in the proper email format. Set the password for the new user and set an Agent Key Password that you can remember.